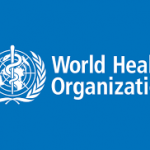 The World Health Organisation (WHO) is collating empty viles of polio vaccines used in Dange Shuni Local Government Area of Sokoto State for accountability, newsmen report. Malaw Zayyanu Muazu, WHO Accountability Officer, disclosed this in an interview with newsmen on Sunday, hinting that the measure is to ensure proper accountability of vaccines. Muazu explained that this was also to ensure that the viles cover the number of eligible children in the area. “We are collecting all the used viles in order to curb diversion of vaccines in the local government. “We have 11-man team posted to Dange Shuni Local Government Area to ensure accountability which will reveal if the eligible children are all immunised,” he said. Muazu added that the number of viles received in the local government for Oral Polio Vaccines (OPV) are 3,090 while the Injectable Polio Vaccines (IPV) are 1,235. 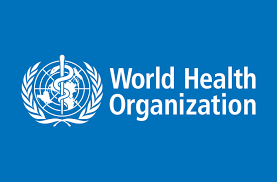 Newsmen report that a team coordinator in charge of polio immunization at Bangida Baga ward in Bodinga Local Government Area of Sokoto state was recently arrested over alleged diversion of oral and injectable vaccines. The coordinator (name withheld) was said to have taken the vaccines meant for the ward in Bodinga to his personal residence. The Executive Director of the state Primary Health Care Development Agency, Alhaji Adamu Romo, told Newsmen that the suspect was paid his dues for the exercise but wondered he betrayed the trust invested in him (coordinator). “We gave him the vaccines, his allowance and all that he requires for the commencement of the exercise at the ward which he diverted to his personal residence,” Romo said. The director said both the vaccines and the money have been recovered by the police from the suspect, assuring that they will follow the case to its logical conclusion. He said that the agency had taken strict measures to forestall reoccurance.